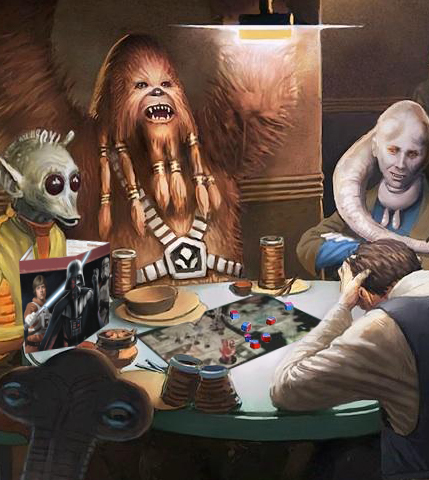 Hello and welcome again to The Force Does Not Throw Dice, the ETE feature devoted to tabletop roleplaying games in the galaxy far, far away. This time we are going to be tackling the topic that won a poll I conducted on Twitter months ago: emotions in roleplaying games. We are going to be chatting about how to go beyond the usual hack-n-slashing fare and construct an emotionally satisfying experience. So first I’m going to define what I mean with emotional roleplaying. I’m not just talking about good roleplaying, about the ability that good GMs and players have to have their character fake emotions (although this is a prerequisite, as we’ll see below) but about the ability to evoke an emotional reaction from the players themselves, just like a novelist tries to evoke emotions from their readers. Emotion is very important to storytelling and RPGs are, after all, shared storytelling. This is honestly not an easy topic to tackle and I’ve been reluctant to write a piece about it, because in my opinion there are few things as personal as emotion. For all the speeches that exalt emotion as a universal experience—that can even be a bit ableist, to be honest—the truth is that whatever my personal definition of “love” or “sadness” is, it probably has little to do with yours. We are getting into the realm of the abstract so we gotta tread very carefully: the best we can do is try to make our games more evocative, more resonant, more emotionally rich, but we have to remember that a game table is not a novel: trying to force the players’ emotional response is either going to make us fall into the insidious trap of railroading or create the most melodramatic, clichéd grub. And we are better than that! Hopefully! It’s interesting that tabletop RPGs, which are by design permissive rather than restrictive, are falling behind CRPGs (the C is for “computer”) when it comes to the portrayal of emotions and feelings. 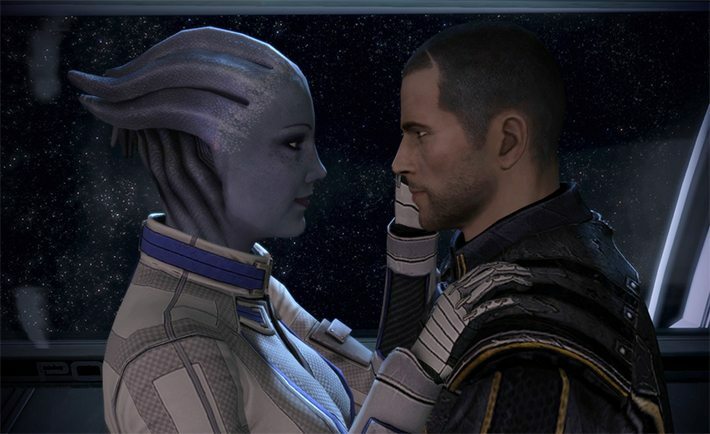 Talk to your regular gamers about deeply emotional experiences in games, and they are more likely to reference Mass Effect 2 or To The Moon rather than Dungeons & Dragons or Edge of the Empire. A key aspect of tabletop RPGs is, obviously, roleplaying—our hobby is not just a watered-down wargame but also a kind of improvisational drama, after all. Improvisational drama gives us all the necessary tools to create characters as complex and layered as we want them to be: we can project ourselves into them and then have them make moral choices, cultivate deep relationships, and feel the full spectrum of human emotions in whatever ways we want. Emotional roleplaying is, to say it nicely, not very popular at the moment. With the emo nineties gone and the crunchy aughties on their way out, we are currently seeing a retro revival that is pushing RPGs to get back to the “pretzels and beer” paradigm: just a weekly excuse to hang out with friends and have fun smacking orcs and/or stormtroopers. There’s absolutely nothing wrong with this—it’s actually oh so fun—but when I try to replicate a Star Wars experience I find that the campaign usually asks for more. It needs Anakin cursing his master while his flesh is ravaged by the lava. It needs Luke preferring to fall to a certain death rather than joining his father in the abyss. It needs Rey holding back her tears when she is forced to admit the truth about her parents. That is Star Wars. I polled ten of my oldest players about the most memorable moment they could recall and the most oft-mentioned moment was that one time a grown-up dudebro cried during the final adventure because their enemy for the whole length of the campaign had decided to take his own life instead of accepting redemption. Is that the kind of story you want to experience? Then you better get in touch with your emotional core if you want it to resonate and be memorable. It’s hard to play an emotional game when the players are looking at their characters as little more than videogame avatars. A high level of immersion is fundamental. You need to get everyone to identify with their characters: they are their only window into the world of the game, and thus the only way you are going to be able to affect them. The best way to obtain better immersion is leading by example: engage with your players in the way you’d like them to be engaging with NPCs and with each other. Use the usual tricks for that: give each character you play a different and distinct voice, look at everyone straight in the eye, add physicality to your speech, don’t be afraid to get theatrical, always say “yes, and”. If your group is not at this level, be patient, because it may take a while. Once you manage to get everyone comfortable with roleplaying their characters, you can move to the next steps. Not everyone is comfortable expressing their emotions in a roleplaying game, and you are going to have to count on and respect this. Try to create a welcoming atmosphere, where no one is mocked for playing their characters to the hilt but also one where no one’s feeling left behind if they want to play “murder hobos” for three hours and then go home. Discuss with your group in advance how comfortable they are with roleplaying and whether they are okay with a more emotive approach: you don’t want anyone to be playing in a way they don’t enjoy, even if they are willing to put up with it for the benefit of the game. As before, lead by example: let one or more NPCs have their own emotional arcs, and let the players decide if they want to be involved in them. The change can be jarring if they are used to playing the game half-drunk and yelling sport chants whenever a stormtrooper’s head is crushed by a wookiee’s punch, so you might want to ease your group into it. As I say in every single entry of this series—and will never stop saying—player agency is the one thing you always need to respect as a GM. Don’t dictate to your players how their characters are feeling. There should be no “your character is sad”. You might have been doing this for years, and you might well be very good at describing these feelings, so let’s try this: use your well-honed description abilities for NPCs and, instead of telling your players that their characters are sad, work on explaining why their characters might be feeling sad. You need to actually push the players towards the emotions you want them to feel and let them express them in their own terms. You’ll find out that if you respect player agency, if you actually trust your players, that this freedom becomes a powerful tool. 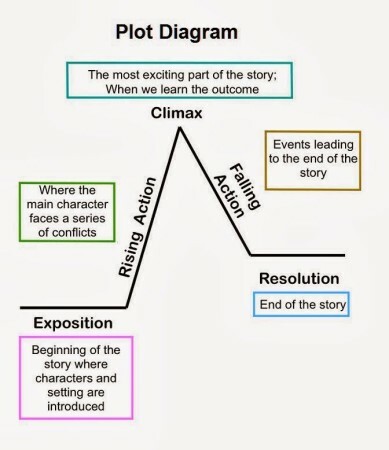 If you want to push the readers toward dread, love or hate, you always need to create the impression that these emotions are in no way inevitable but just a possible outcome: give them the pieces and let them solve the puzzle themselves. If they decide that their character is not feeling sad or angry when their lover is disemboweled before them? Amazing! They’ve discovered a new corner of their characters—maybe strength of character, maybe a lack of empathy—that otherwise they might not have discovered. You can work with that. Also, avoid saying that a non-player character is sad: go into the physical manifestations of that sadness. Invoke multiple senses: the way they drag their feet, how their eyes are red and swollen from having been crying, how they have trouble keeping up with the conversation because their mind is elsewhere. Play with all five senses to keep the players involved, perhaps sometimes off-balance, but always interested in what’s coming next. Play with your tone of voice and your cadence of speech: use short sentences to increase the pace and encourage suspense and dread; use longer phrases to get the momentum back to normal. Here we are going to repurpose that old writing maxim: write what you know. For each of us, the emotional variety of our NPCs is drawn from our real-world experiences. You can’t fake it. If you want a real emotional response, there needs to be something real to respond to. If non-player characters react in a clichéd or unbelievable way, your players are eventually going to ignore them and all our efforts will have been in vain. Remember this baby from high school? Well, guess what? Draw from what you know and deliver that experience slowly and carefully. Keep the players engrossed in the story and curious about the characters’ futures. It’s not easy to get your players to care, and it’s always going to take a long time—sometimes years—but that’s how real people work, so don’t despair. Tease the players with hints of what’s to come and control the flow of information. Unforeseen reveals and unexpected twists can be your ally: by revealing a previously unknown detail that helps the players understand the implications, the GM gives them pause and makes them think of the world their characters are living in. One of the most powerful moments I’ve seen on the gaming table happened when the players, during one of the last adventures in a long campaign, realized that the little girl that had bumped into them during the town festival and courteously apologized was the little baby they had saved years before during a memorable adventure: they winced, fell silent, and then slowly smiled in unison, suddenly aware of the way their actions had made the world a better place. And that’s exactly what we want to achieve! Don’t be afraid of killing off someone close to the player characters or of taking away something dear to them. Be cruel if you have to: misunderstanding, betrayal, and forced choices are all ways to agitate characters and get them out of their comfort zones. Remember that we are playing a drama, one where random events are determined be the rolling of dice, but still a drama, and dramas require conflict and emotion. And without them we wouldn’t have Star Wars.